Participating in service-learning projects organized and operated by the non-profit organization Saath, based in Ahmedabad, India, dedicated to educating deprived children of rural migrant families, assisting women of very low-income families in acquiring financial independence, helping to devise programs for low-income aspiring social entrepreneurs, helping with micro-credit financing projects, and contributing to/advising on artistic fabric design to help rural weavers access urban markets. Purnima Shah, Director and Associate Professor of the Practice, Dance Program, Duke University. 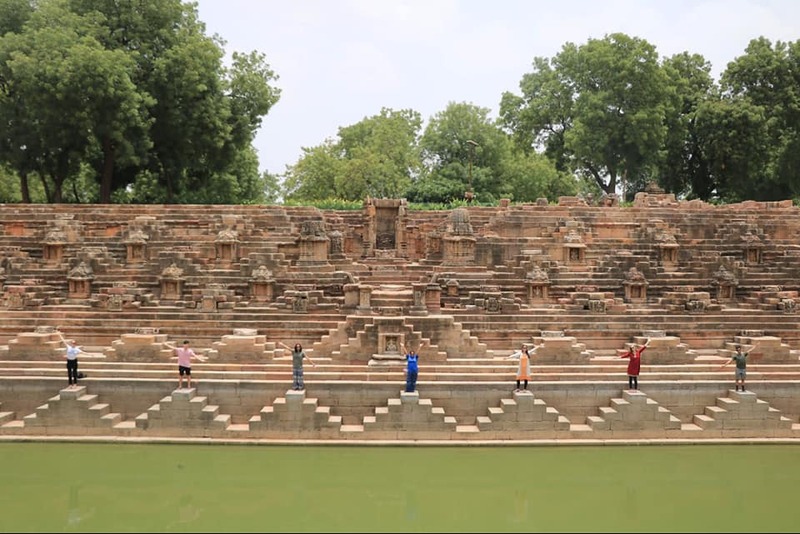 Ph.D. in Performance Studies and Ethnography, with research and teaching interests in Asian theatre intersecting with ritual and performance, gender in performance, psycho-spiritual practices in devotional theatre, South Asian diaspora, and performance theory. A large number of rural populations in India subsisting mostly on small scale farming have been displaced in the last few decades due to steadily rising inflation, debt, and modernization. On the other hand, urban development, industrialization, and a booming construction industry have attracted millions of rural residents to urban areas for employment in hourly/daily jobs. The majority of these migrant workers and their families dwell in urban slum developments and are unable to afford basic education, health care, nutrition, or pursue vocations for their children, youth or women. This DukeEngage program, in collaboration with the Ahmedabad-based nonprofit organization Saath, will work on projects meant to provide better opportunities to these migrant communities, especially women and children of very low-income families. 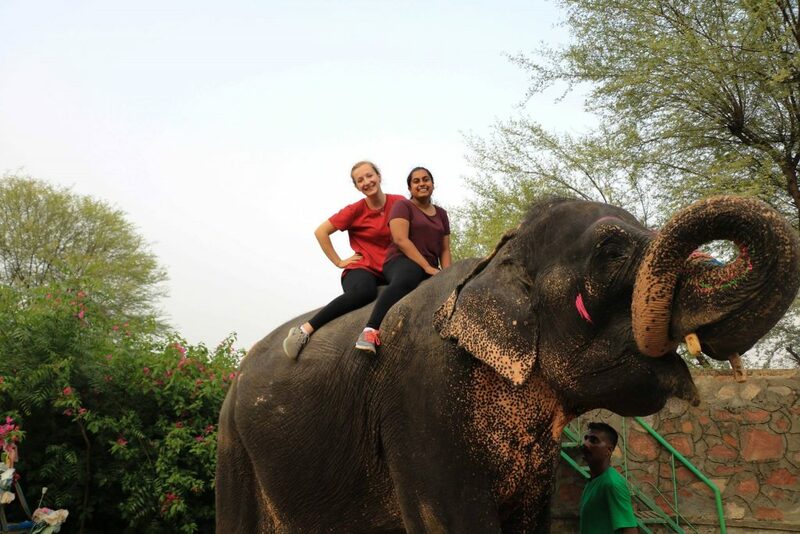 During their two months in Ahmedabad, India, students will work with Saath focused on service-learning in child education, women’s empowerment, social entrepreneurship, and microcredit financing. The Program Director has worked in this community in the past, and has partnered with Saath in order to develop this program. Social responsibility: Developing better cultural awareness, understanding and respecting cultural differences, learning to respect human beings who are less privileged, creating awareness for social issues; gaining new perspectives on and opening doors to a world that was previously unknown to them, taking the responsibility to give back to the society what they have gained from the world around them. Acquiring an understanding of the importance of volunteer work; continued service-learning engagement after graduation from Duke. Academic outcomes: Global learning, incorporating service-learning experiences into writing and research; acquiring new or improved language and communication skills. Service-learning activities will lend ideas for future careers in the field or inspire engagement activities on a larger scale. Participating in panel discussions, conferences and public lectures; advocating service-learning to younger students. Using skills and knowledge to bring in additional resources for the successful operation of the NGO projects. Leadership values: Gaining self-confidence, sense of self-discovery through the service-learning experience and interaction with communities they serve; acquiring maturity through interactive community work. Transformation in perspectives, decision-making, beliefs and world view. Gaining collaborative and teamwork skills, devising and contributing new skills to the community as per their need. Gaining a better understanding of the functioning of the non-profit social sector and understanding how their service could make an impact on the communities they work with; inspiring those communities to participate in the service of uplifting their own community. Saath has pioneered an Integrated Community Development Program that seeks to uplift, enrich and provide opportunities for the well-being of slum residents, migrant laborers, minorities, underserved children, women and youth in urban and rural areas. Assistance is provided to these communities for access to health care, education, learning profession-based skills, employment, micro-financing small businesses, and acquiring affordable housing. Child-Friendly Spaces makes efforts to liberate children from the labor market and provides education and nutrition support to them, as well as to children of migrant construction workers. Daily classes are run within slum communities and on construction sites. Duke students assigned to this program will aid in child education (teach English, basic Mathematics, or any other field of study that they specialize in); research on and provide guidance for their proper nutrition; develop health awareness; schedule and teach regular physical exercises; teach any artistic discipline (song, dance, music) if applicable; and work with the Saath office to raise funds for nutritious meals. Students could also help Saath develop methods of teaching children in creative ways. Saath supervisors will act as interpreters / translators for this group when necessary. Udaan focuses on orienting 18-35 year old slum dwellers, who are keen on seeking employment opportunities. Full time entry-level training in profession/career based skills is provided to these communities for at least three to six months. Courses in basic accounting, beauty salon services, management skills, basic computer skills, taxi/rickshaw driving lessons, etc., are offered to individuals in these communities. Efforts are made to find placements for those who have completed the training sessions. 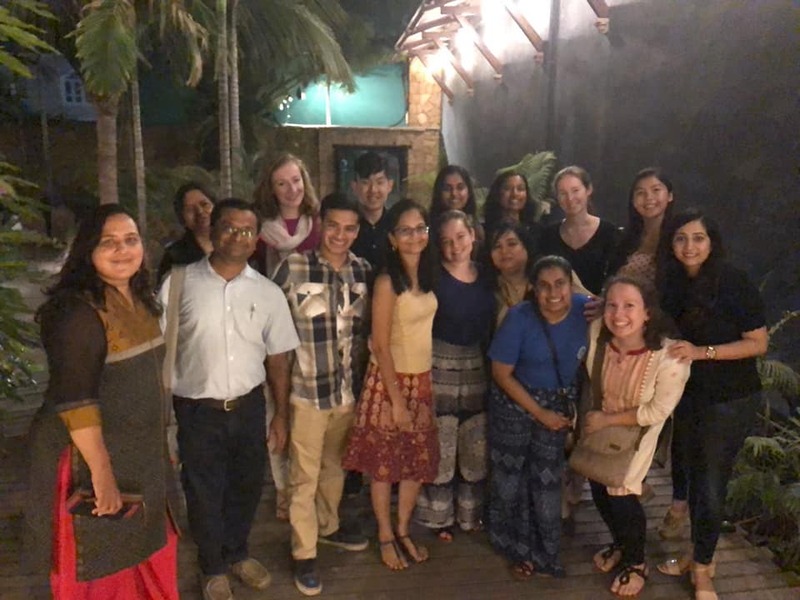 Duke students will work together with Saath supervisors responsible for these projects in terms of teaching health and hygiene, and organizing, administering and helping with placement services. 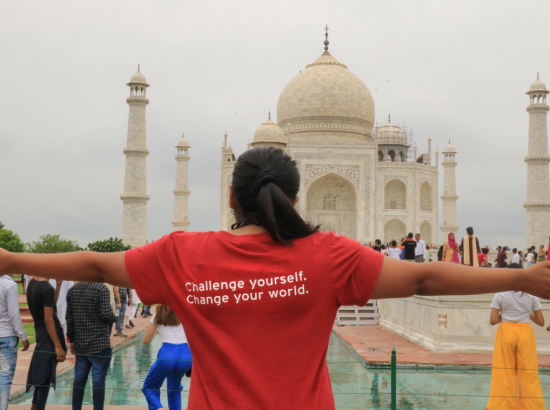 Students will also work with the youth communities to help them acquire the self-confidence and leadership necessary to go out into the world outside of their familiar slum areas. Saath supervisors will act as interpreters / translators for this group when necessary. Women@Work provides training to women of low-income families with a goal to help them become financially independent. This project includes training in skills considered non-traditional for women, such as electrical service, plumbing, mobile repairing, taxi driving, entry into police force, etc. The aim is to break the stereotyping of gender roles at work. Placements are provided to the women who have completed training sessions. Women@Work also pays attention to making certain that underage girls do not drop out of school due to financial need. Duke students will work with Saath supervisors leading these projects and assist these girls and women in achieving their goals. Students will help with teaching spoken and written English, basic Mathematics, computer skills, operating their bank account, health and hygiene needs, and with organizing and supervising employment placements for the trained women. They will help the young girls and women understand women’s rights, educate and provide literature pertaining to ‘Right to Information Act,’ and help them acquire the confidence and leadership necessary to manage and maintain their goals. Saath supervisors will act as interpreters/translators for this group when necessary. Microcredit project: Saath manages microcredit projects to help individuals, men and women, with very low income to acquire micro-financing, managing the loan and its repayments. From their past data, Saath claims that 99% of their loans are successfully returned. With the help of Saath micro-financing projects, several of their payees have been able to establish small scale businesses and achieve financial convenience. 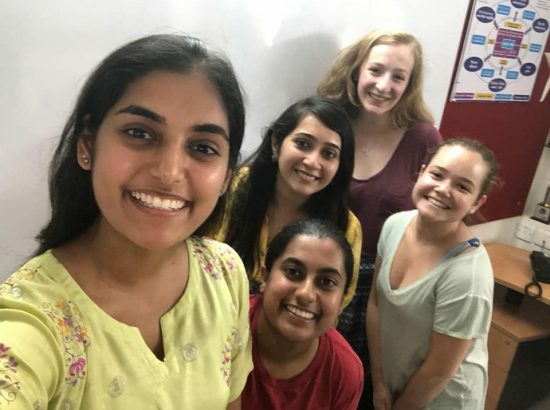 Interested Duke students will be able to work with Saath mentors firstly, on learning how microcredit financing works, working with payees in product designing and marketing techniques, and helping the office with microfinance records. Saath supervisors will act as interpreters/translators for this group when necessary. 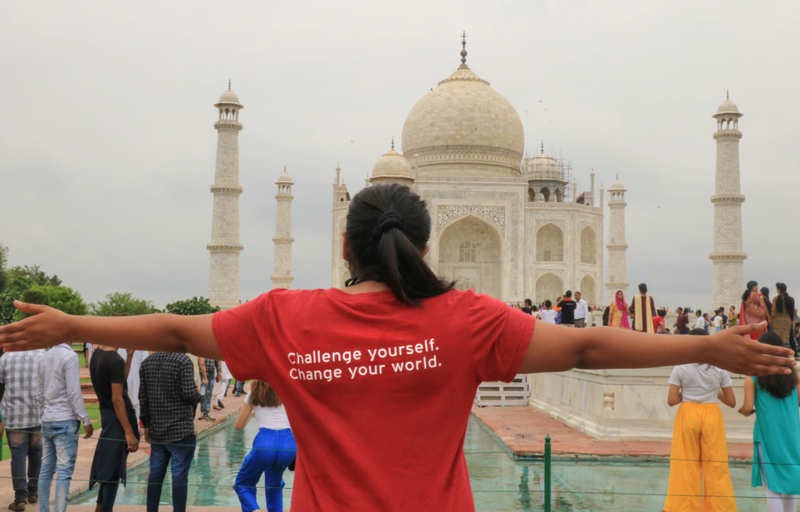 Social Entrepreneurship: Small scale businesses in the informal sector in India are often undermined although they are a driving force within the overall economy. Saath helps empower those aspiring to informal enterprises by providing skills to become innovative and profitable entrepreneurs. Established business owners are provided guidance towards acquiring street vending certificates, educating them on state policies for street vending, creating short-term and long term budgets, loan acquisition, marketing and pricing strategies, and conducting internal business evaluations. Students could help devise worksheets for budgeting, loan acquisition, pricing strategies, business evaluation strategies, diagnostic tests, and so on. Saath mentors will help with translations where necessary. 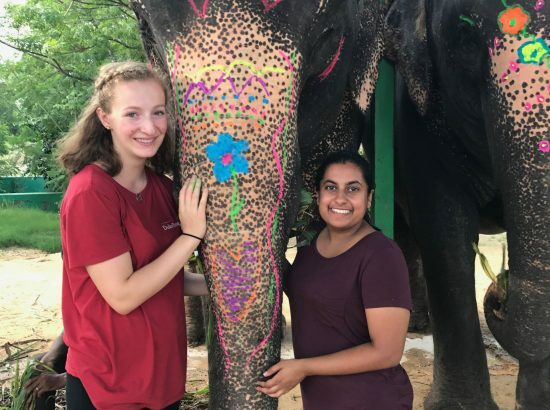 Fundraising projects: All Duke students in this program will contribute at least three hours a week to work with a designated fundraiser at the Saath head office, looking after the funding needs of all the current projects running at the organization. Using online tools such as crowd funding platforms and social media, students will assist staff in raising funds for various SAATH projects. Students will also assist with ideas for developing the Saath Research Center and help with updating their website. 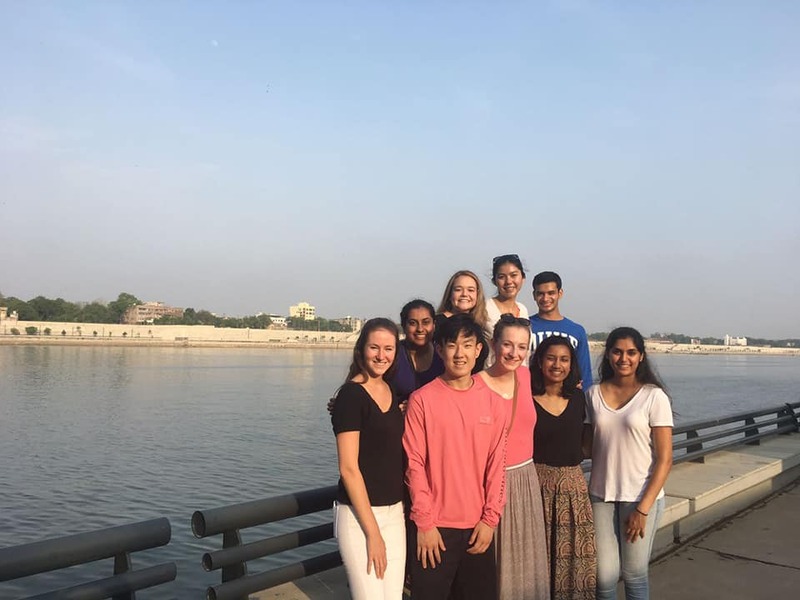 Duke students will work at the Saath office and on appointed days each week, visit field sites for the above-mentioned projects, all of which are located within the municipal jurisdiction of Ahmedabad city. Each student group will be accompanied on project sites by a Saath-assigned (English speaking) project supervisor. 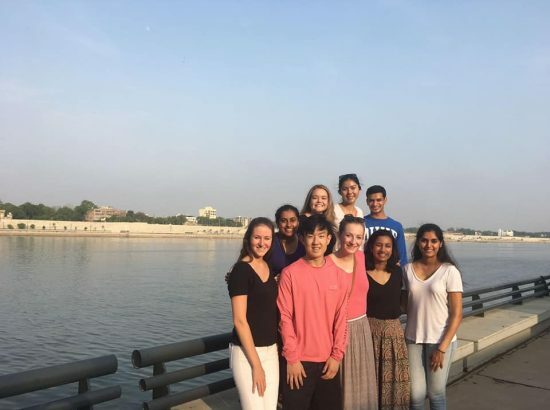 Duke students will work full time on their assigned projects at Saath office and on field sites from Monday through Friday. Language: Hindi is the widely spoken language in northern India. Basic level language skill would be helpful, but is not required. Students will have daily spoken language lessons at Saath office throughout the two-month period of their stay in Ahmedabad. Coursework: No prior coursework is required. Any level of study on South Asia and any coursework on Indian History or Languages and Literatures of South Asia would be helpful but is not required. Maintaining self-awareness, self-reliance, self-confidence and the use of good discretion at unexpected situations. Ability to manage stress in unfamiliar socio-cultural environments. Please note: Large portions of Gujarati communities are vegetarian. Gujarat is also a “dry” state and hence it would be illegal to consume alcohol without acquiring a legal permit. Students will comply with local laws and not engage in any risky activity outside the activities described in this program. At Duke, Prof. Shah will help students integrate their service-learning experiences with their respective academic disciplines and inspire students to further their commitments to community service at Duke and beyond. She is willing to mentor students in independent studies, Program II majors, or honors theses on topics related to their experience. Some examples of relevant courses are, Gandhi: Image and Reflection (AMES 258), Indian Civilization (History 219S), Children’s Self Expression: Literacy Through Photography (Documentary Studies 224S), Refugees, Rights and Resettlement (Sociology 178FS), Digital Documentary Photography: Education, Childhood and Growth (VMS 212S), Gender, Sexuality and Human Rights (GSF 368), Women in the Economy (Econ 348), Epics of India: Ethics, Politics and Performance Traditions (Religion 278S), Indigenous Journeys in South Asian Film and Literature (AMES 252S), Dance and Theatre of India (Dance 355), Indian Cinema (AMES 251), Asian American Theater (Theatre 232). 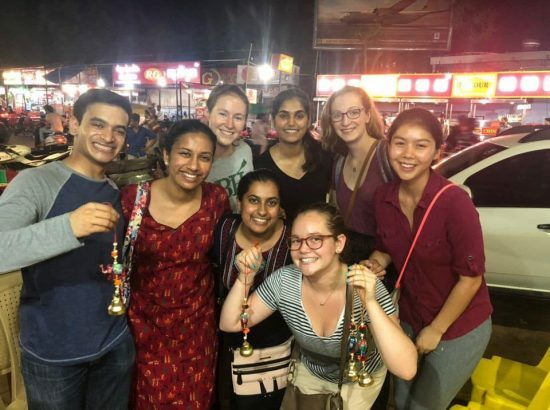 Description of Community: Ahmedabad is spread on the banks of the river Sabarmati and is the former capital city of Gujarat State, located on the western coast of India. Nine bridges connect the old and newer settlements of the city, sprawling on both banks of the river. 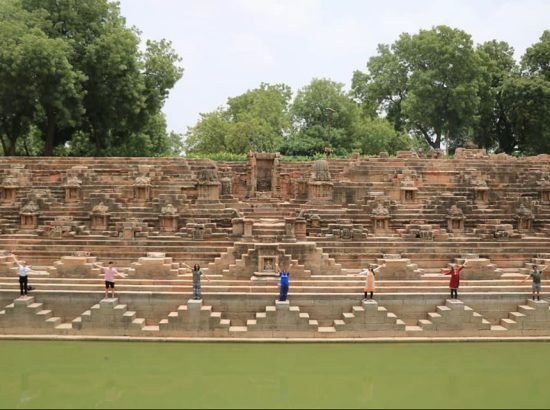 As old as a millennia, the city was formerly known as Ashaval (11th century) and later as Karnavati, and was named Ahmedabad by Sultan Ahmed Shah in 1411 CE after its capture by the Delhi Sultanate. Ahmedabad is renowned for its hand-woven and printed textiles and became a textile hub during the British rule. The city is a thriving center for commerce with flourishing textile, chemical, pharmaceutical, and other industries, providing employment to millions. Diverse religions thrive in this city with Hindus, Parsees, Jews, Christians, Muslims, Sikhs, and Jains residing here. The independence movement developed its roots in Ahmedabad when Mahatma Gandhi established his ashram (residence and center for nationalist activities) in 1917 on the banks of Sabarmati. It is from here that he led his peaceful, non-violent Quit India movement against the oppressive British rule. Ahmedabad is known for its architectural splendor, both ancient and contemporary, which beautify the city’s landscape: 15th century architectural monuments survive side by side with contemporary architectural institutes designed by Louis Kahn, Le Corbusier, Frank Lloyd Wright, B.V. Doshi, a disciple of Le Corbusier, Charles Correa, Christopher Benninger, Achyut Kanvinde and many more. Ahmedabad is the sixth largest city in India and a very safe place for students. Monsoons generally set in during mid-July. The temperatures may range from 85-100F, with periodic drizzles or heavy downpours. 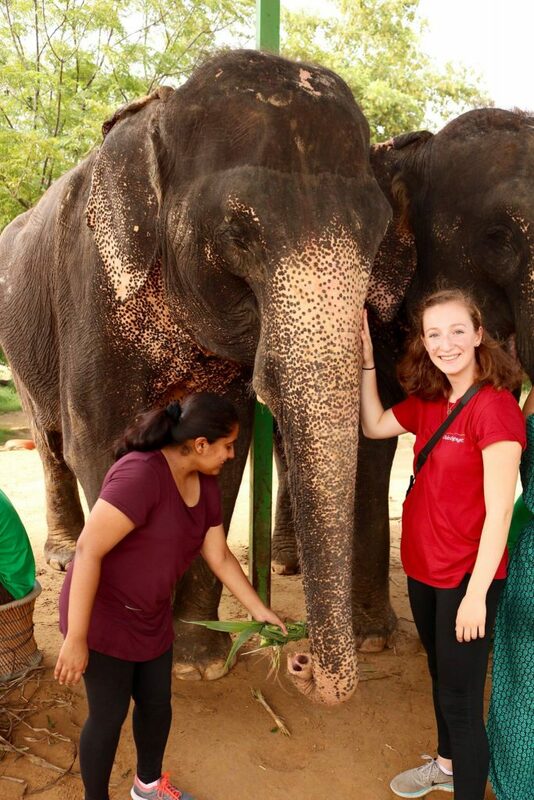 Housing and Meals: Arrangements will be made for Duke students’ homestays with local families. The rooms will be furnished and secured with lockable doors. Rooms may be shared with another Duke student of the same gender. Students will have access to a shared bathroom either within or adjoining their room. Most rooms will have ceiling fans and air-conditioning. Regular laundry is included in the home-stay; dry-cleaning is not. Families will provide students with breakfast and dinner on weekdays, and all meals on weekends. Saath will provide lunch on weekdays. Host families as well as Saath offices will provide filtered drinking water. Choice of vegetarian or non-vegetarian food will be discussed with the Duke students in advance of their departure and assigned with families accordingly. Saath will provide only vegetarian food, fresh from the kitchen at their head office. Restaurants, groceries and provision stores will be easily available in the neighborhood area. Transportation: DukeEngage provides or arranges transportation to and from service placements and all scheduled program activities. Program leaders will arrange for airport pick up and drop off upon Duke students’ arrival and departure at the local airport. A mini-bus will be arranged for all sightseeing tours organized through the program. Taxi companies will be recommended for any personal travel. Communication: Students will be provided with a basic local cell phone for program-related and emergency communication. Students will be able to use Wi-Fi and internet at the Saath head office and at their homestays for free. Opportunities for Reflection: Reflection sessions will be held once a week, every Friday afternoon with the Duke program leaders, Saath project supervisors and advisors. Students will reflect on their progress with their projects each week, on the various goals they have set for service-learning, and on issues raised by weekly guest speakers, and will discuss the readings recommended to them. Students will maintain an active log/journal of their experiences, questions, investigations, achievements, impressions, visions and inspirations for future service work and share these with the group each week. Duke program leaders and Saath advisors will lead the discussions. Each student will volunteer to post comments on the program blog. Other Opportunities: A local certified language instructor will be assigned to teach spoken Hindi language to Duke students during their 8-week term with Saath in Ahmedabad. Students will attend one-hour language instruction daily. This instruction will be instrumental in helping students be able to communicate first-hand with the communities they serve. 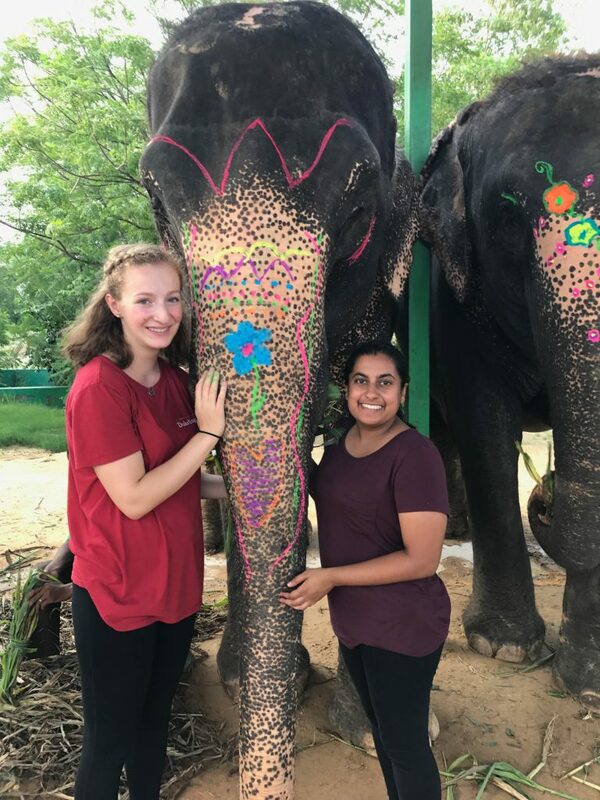 Local experts will be invited once a week to give guest lectures on various topics, including careers in the nonprofit field and Indian history, culture, literature, art, music, and other related topics. Open water swimming will not be a sponsored activity in any DukeEngage program. Jagannathan, Shanti. The Role of Nongovernmental Organisations in Primary Education: A Study of Six NGOs in India. [Washington D.C.]: World Bank, 1999. 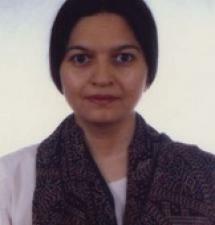 Panda, Smita Mishra. Women’s Empowerment Through NGO Intervention: A Framework for Assessment. Anand, Gujarat, India: Institute of Rural Management, 2000. Camerini, Michael, et al. Kamala and Raji [video-recording] DVD Disc 1, Watertown, MA: Documentary Educational Resources, 2007. [Story of two women of the working poor who live in Ahmedabad, Gujarat. Both moved from a background of deprivation to a measure of empowerment as representatives of a grass roots organization called SEWA, the Self-Employed Women’s Association]. Ramachandran, Vimala. Getting Children Back to School: Case Studies in Primary Education. New Delhi, Thousand Oaks: Sage Publications, 2003. Bhargava, Pramila H. The Elimination of Child Labour: Whose Responsibility? A Workbook. New Delhi, Thousand Oaks: Sage Publications, 2003. Rice, Rodney and Ruth Meehan. India Working to End Child Labor [video-recording] DVD Disc 1, Princeton, N.J.: Films for the Humanities and Sciences, 2005. Burra, Neera and Joy Deshmukh-Ranadive. Micro-Credit, Poverty and Empowerment: Linking the Triad. New Delhi; Thousand Oaks, 2005. Huyler, Stephen P. Daughters of India: Art and Identity. New York: Abbeville Press Publication, 2008. [A collection of stories of 20 Indian women highlighting how they used creative expression as a means of empowerment]. Pandya, Rameshwari. Women Empowerment Through Income Generation. New Delhi: Swastik Publication, 2013. Women Welfare and Empowerment in India: vision for 21st Century. New Delhi: New Century Publications, 2008. Garva, Radhaben and Sushma Iyer. Picture This! Painting the Women’s Movement [eBook of 147 paintings], 2013. [From her home in a small village in the Kutch district of Gujarat, Dalit artist Radhaben Garwa has documented the rural women’s movement in Western India and beyond through her drawings]. Razvi, Meena. Empowerment of low-income women in India: Emergent Female Grassroots Leaders in Ahmedabad, Gujarat. Ed.D. Thesis, Northern Illinois University, 2006. Pal, Manoranjan. Gender Issues and Empowerment of Women. New York: Nova Science Publishers, 2012. 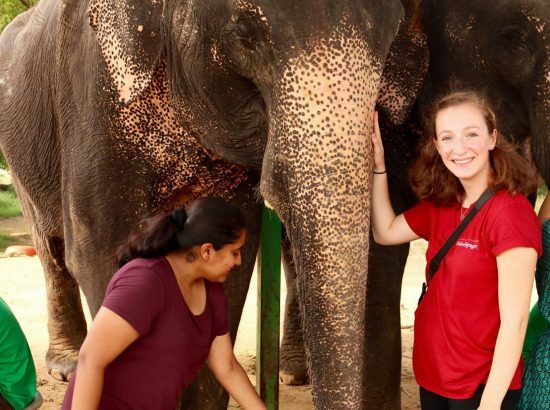 The guiDE program provides DukeEngage alumni a pathway to continue their commitment to service and civic engagement by providing leadership, mentorship and service opportunities that support wider DukeEngage efforts on campus and beyond. 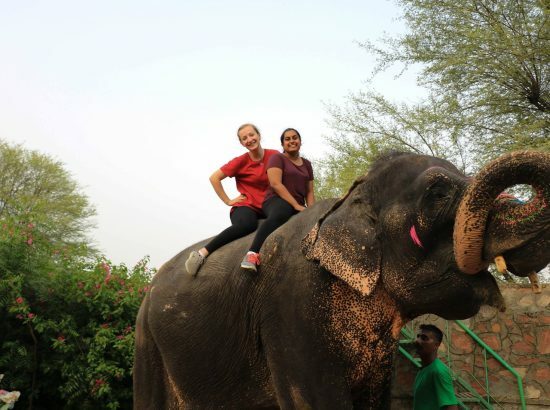 A collection of photos from DukeEngage programs in Ahmedabad in recent years.